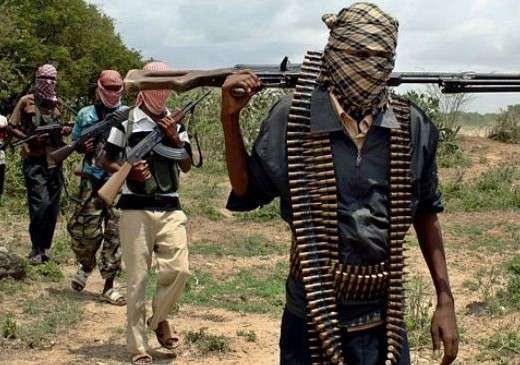 Suspected armed bandits, on Monday night abducted over a dozen people, including a new bride and some nursing mothers, in Zurmi Local Government Area of Zamfara State. The incident happened at 11.45 p.m.
A teacher at the Government Girlsâ€™ Secondary School in Zurmi, Falalu Ashafa, told newsmen that his wife, mother, two children and nanny were among those abducted in the attack. He said after the attack, 26 persons, including three lactating mothers and a newly-wedded bride, were missing and believed to have been abducted. The Police Commandâ€™s spokesman, Mohammed Shehu said the police repelled the Monday night attack but later realised that 13 people had been abducted. The spokesman said the hoodlums stormed Majema area of Zurmi to cause mayhem and breakdown of law and order in the community. â€œOn the spur of the moment, combined teams of police/military and Civilian Joint Task Force (JTF) at Zurmi responded promptly and repelled the attack. â€œAs a result, the attackers were forced to beat a retreat back to Dumburum forest. Sadly enough, 13 persons were discovered to have been kidnapped by the attackers. â€œThe command, in its efforts to ensure the successful rescue of the abducted victims, dispatched a Search-and-Rescue operation team to complement the effort of the joint security personnel currently on extensive bush-combing. â€œThe media will be duly briefed on the outcome of the rescue operation. â€œThe command appeals for continued support and cooperation with the police and other security agencies by giving timely and useful information on the activities of criminal elements in the state,â€ he said.